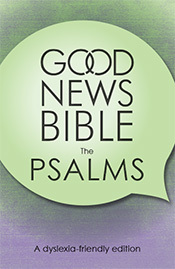 For sample verses from Today's English Version, click here. 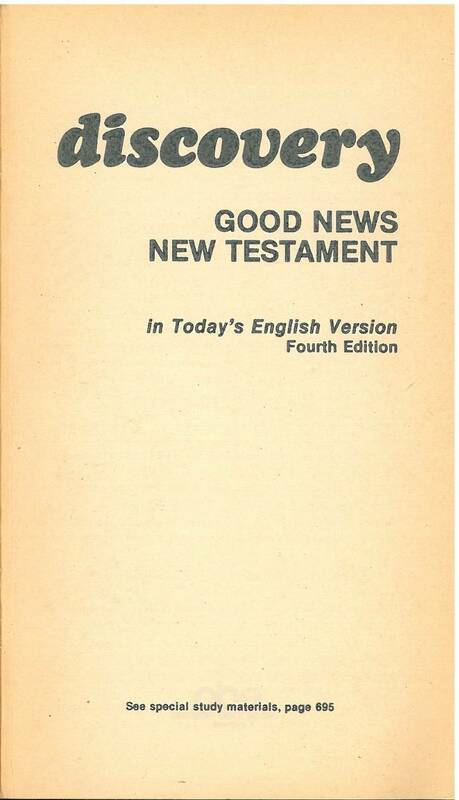 Comments: This appears to be an early version of Today's English Version (though it is not identified by that name). 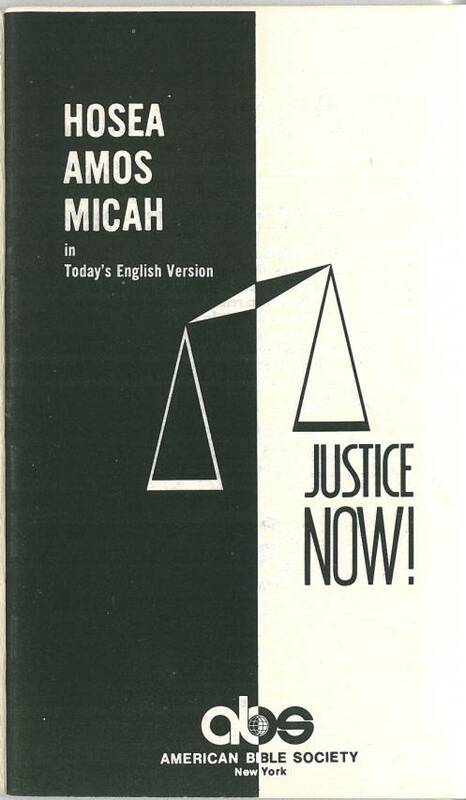 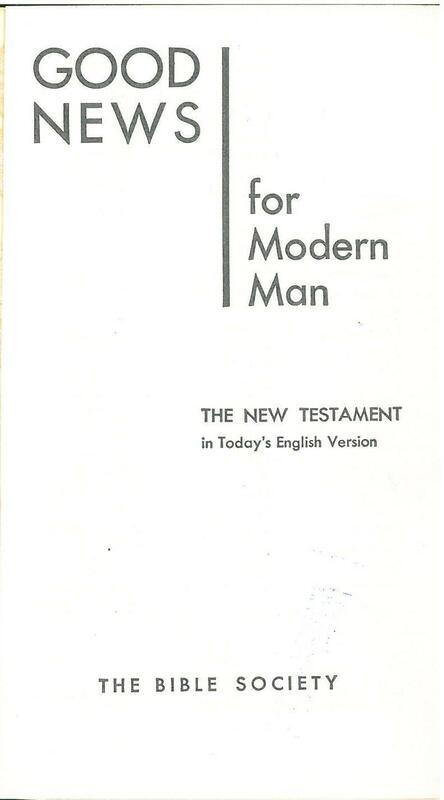 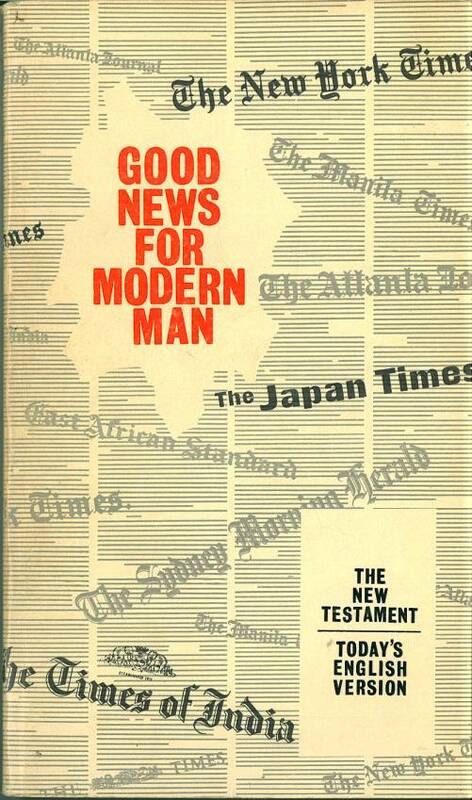 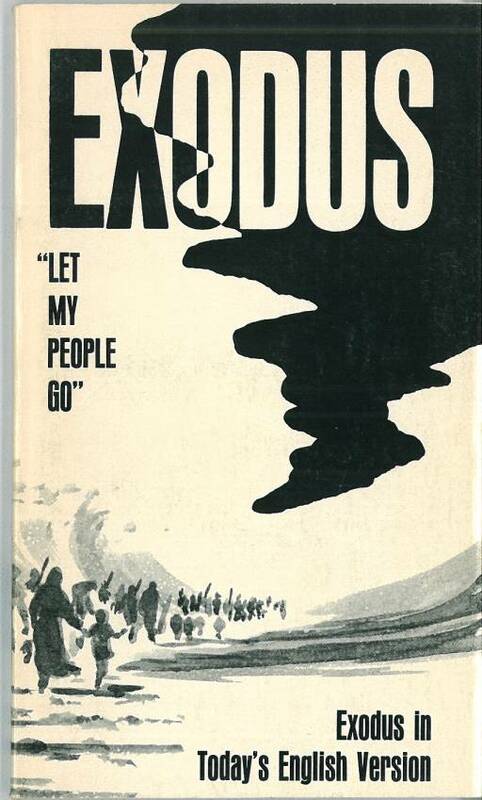 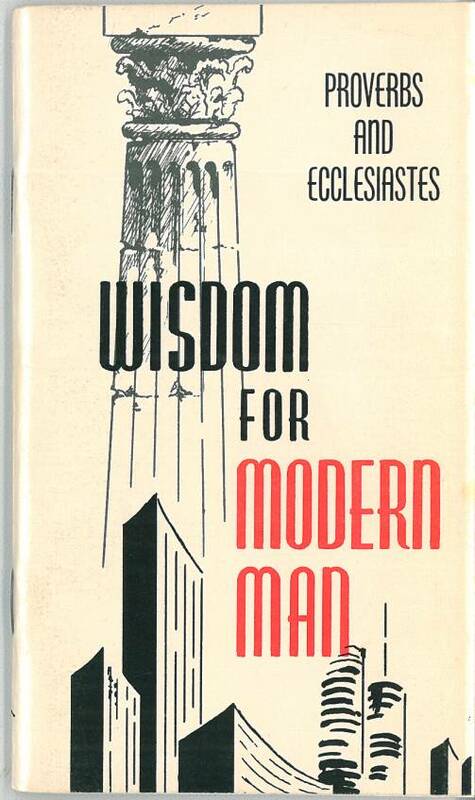 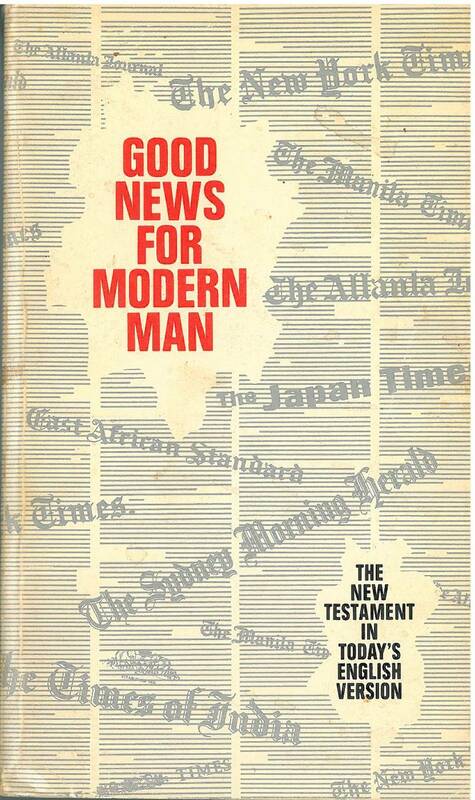 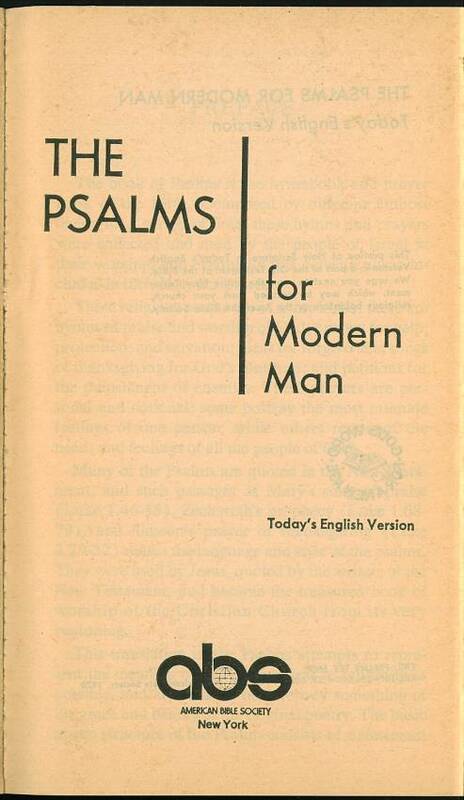 The text is very similar to the text of the 1966 New Testament. 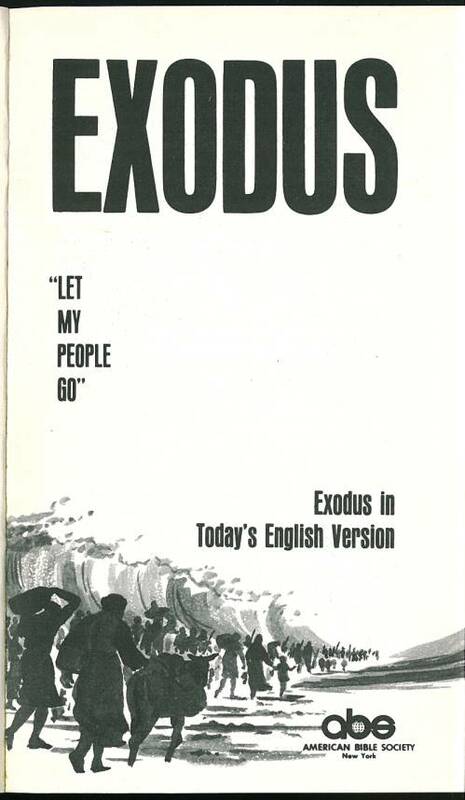 In addition, it has the same illustrations as the 1966 edition. 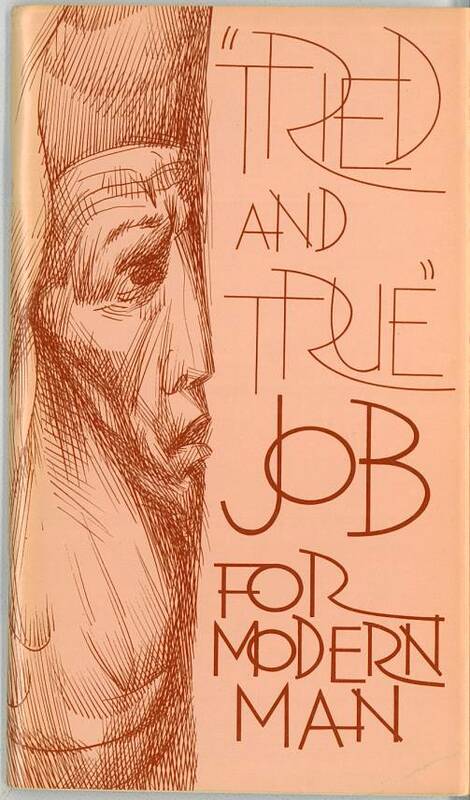 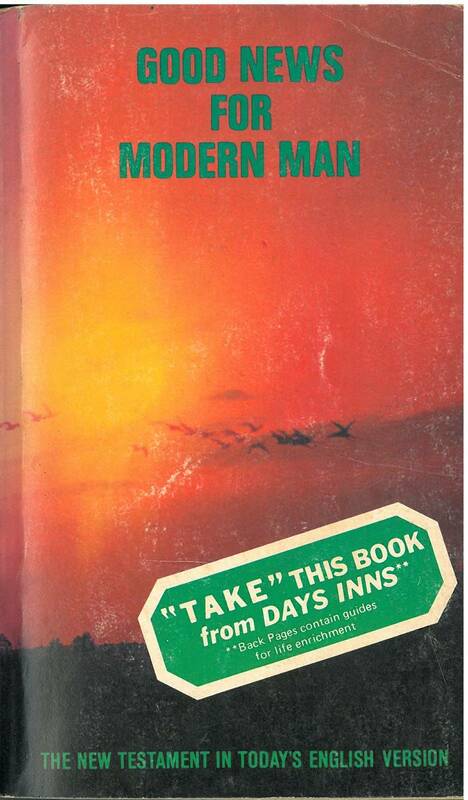 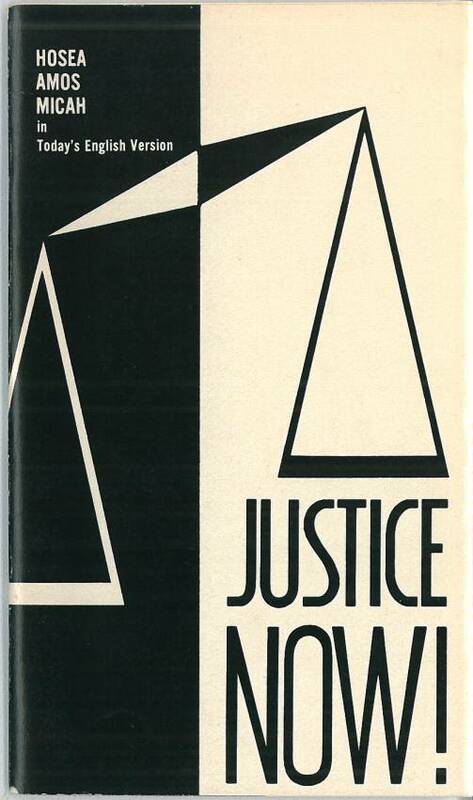 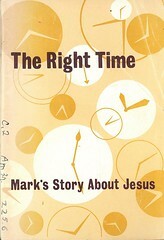 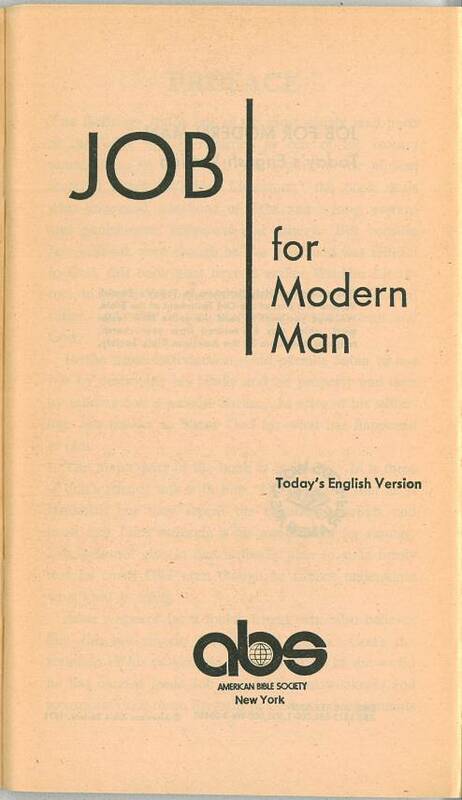 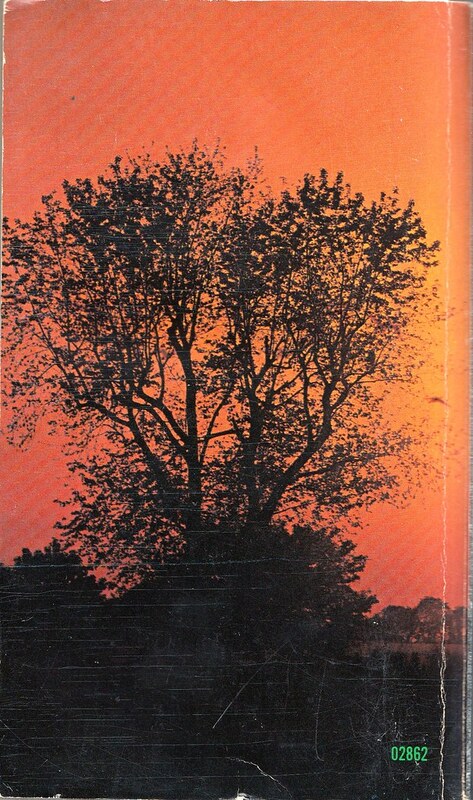 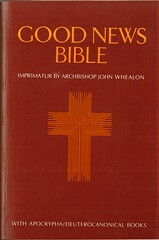 A second printing was published in 1966. 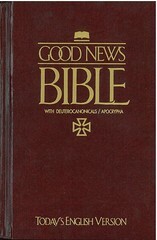 Comment: First Edition. 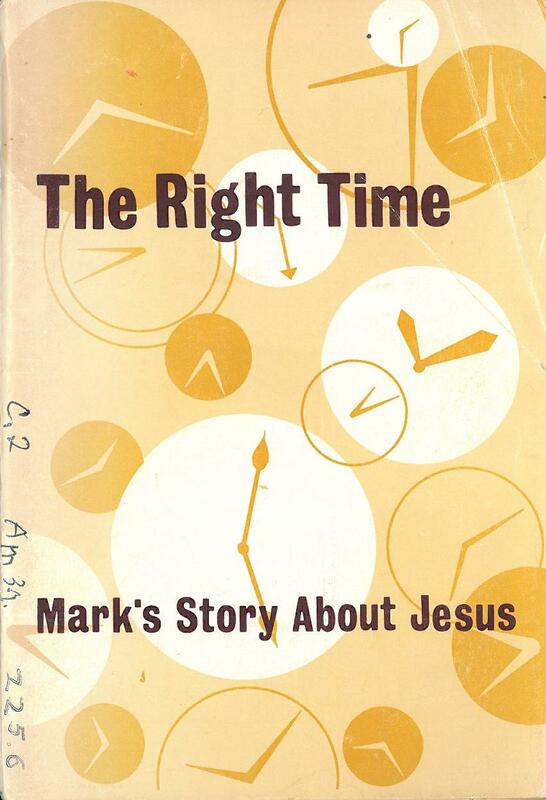 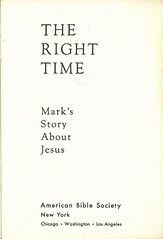 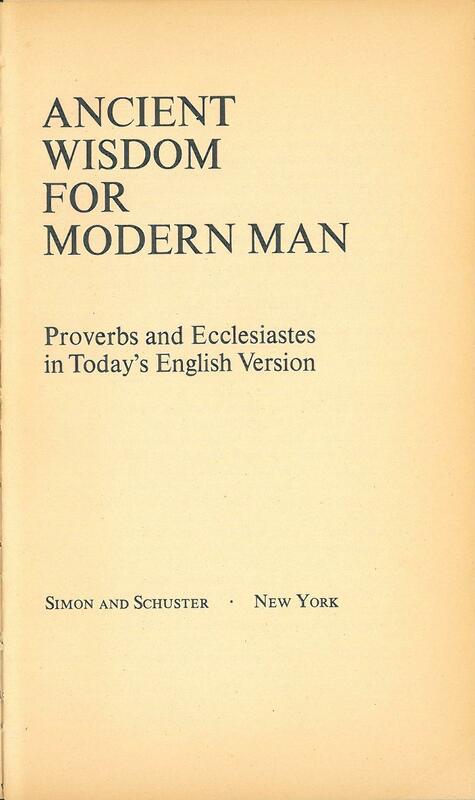 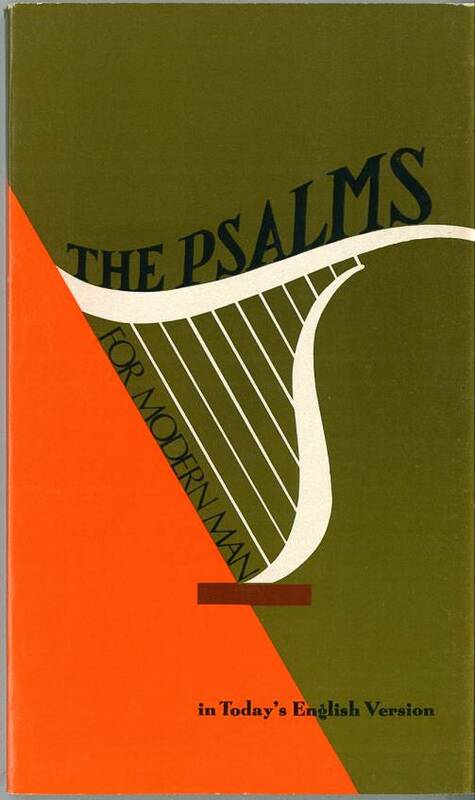 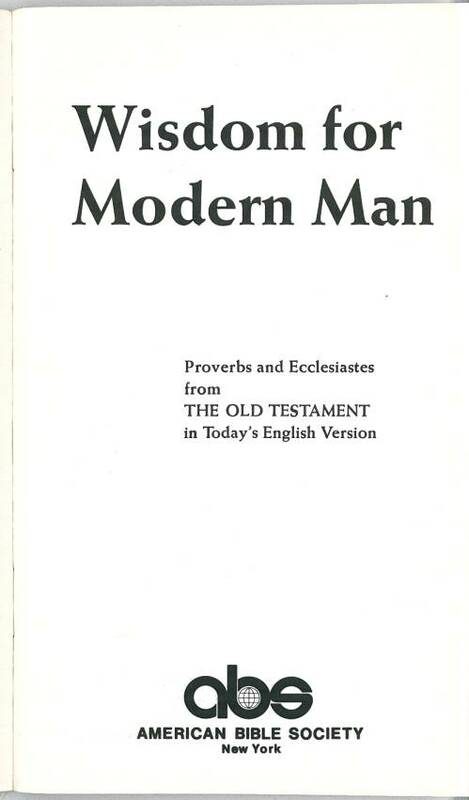 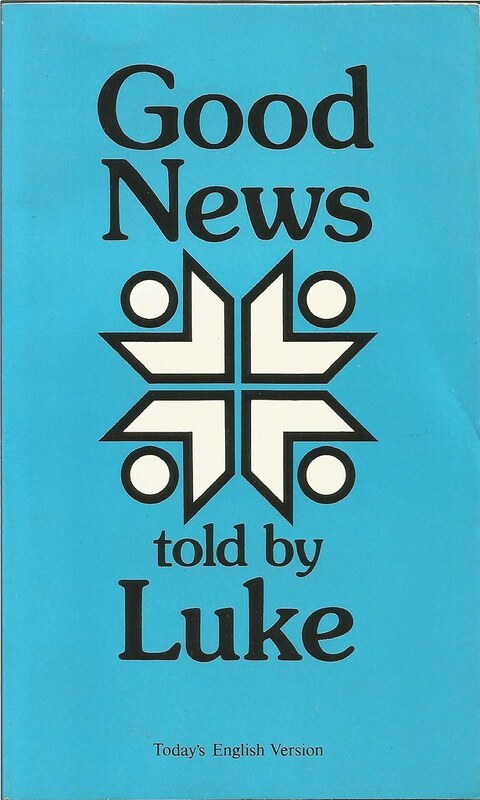 The earliest editions from 1966 have Luke 1:27 as "He had a message for a virgin". 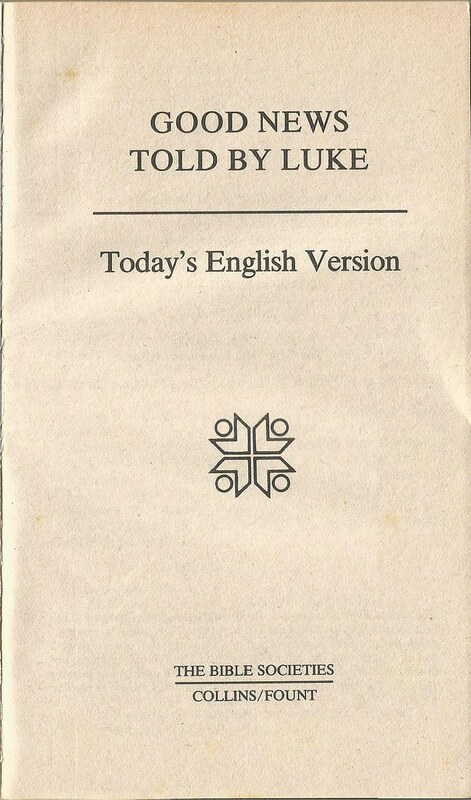 Later printings have "He had a message for a girl". 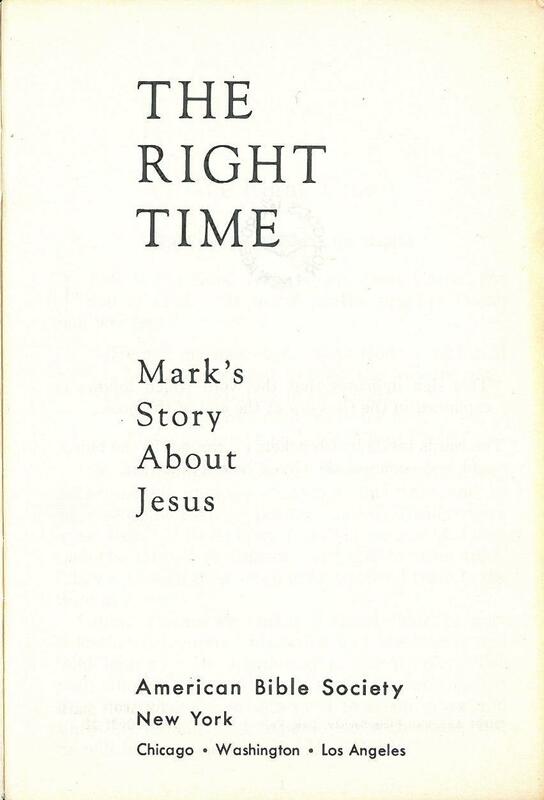 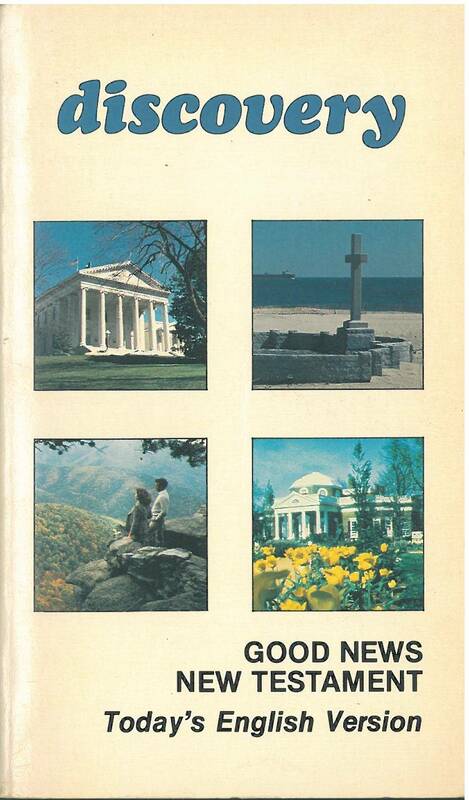 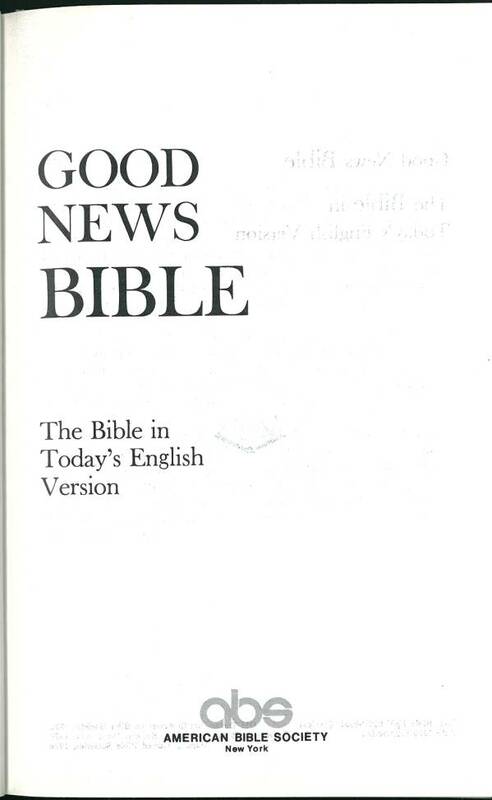 Comments: This Bible contains "auxiliary material" by Campus Crusade for Christ (now known as Cru) founder/president Bill Bright; this material was "submitted by Days Inn" and the pages are marked with a gray border. 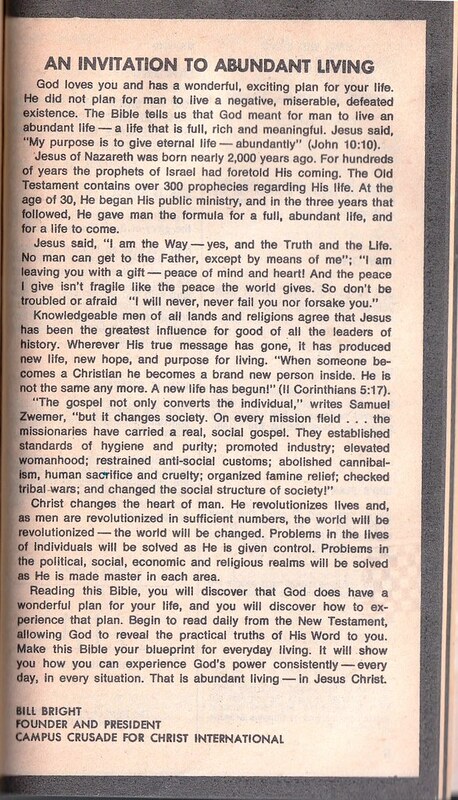 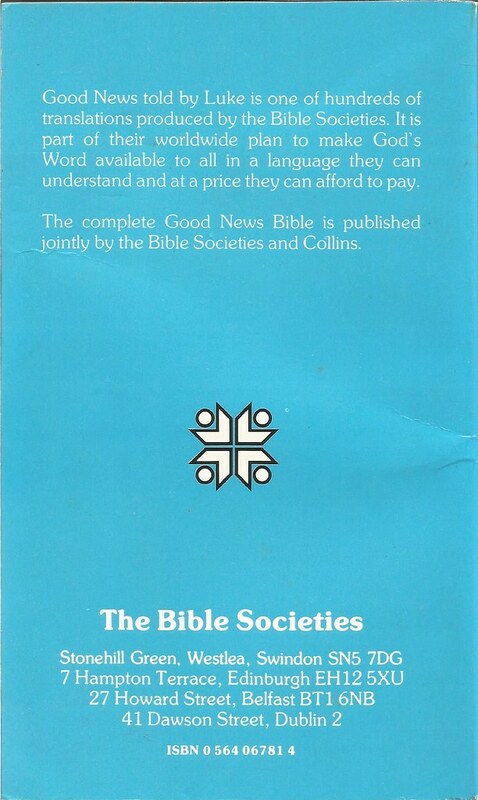 The complete Bible was published in 1976. 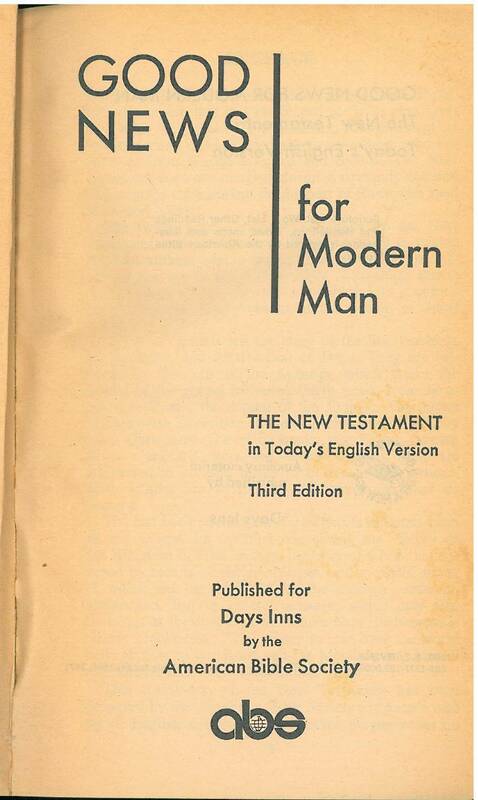 However, before that date, several portions of the Old Testament were released as they were completed. 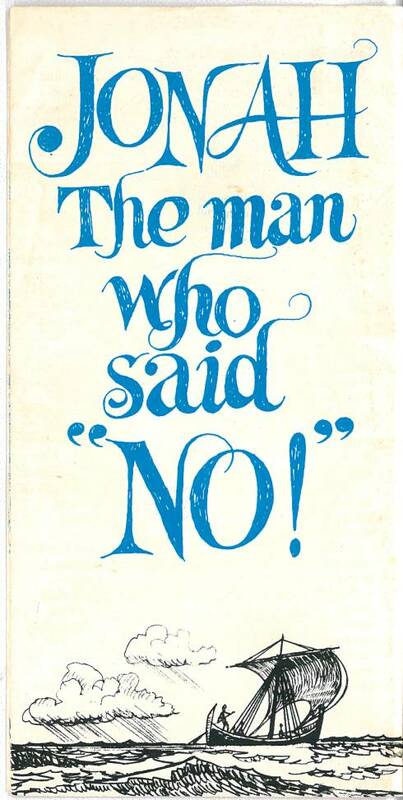 Title: Jonah The Man who said "NO!" 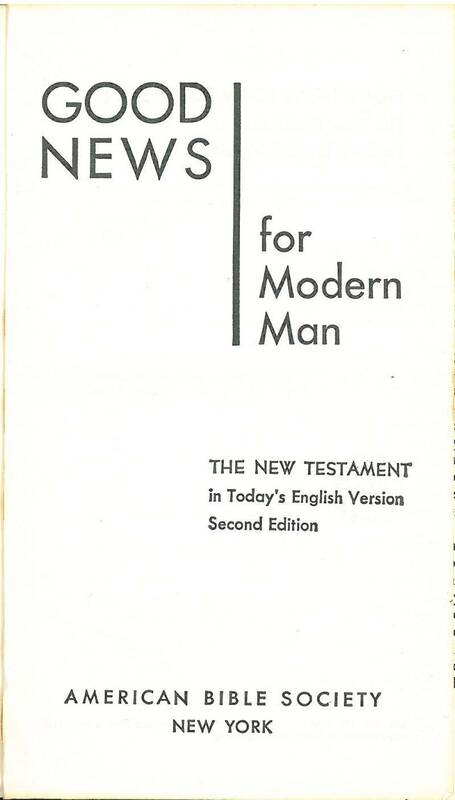 This section lists anglicized (or British) editions of the Today's English Version. 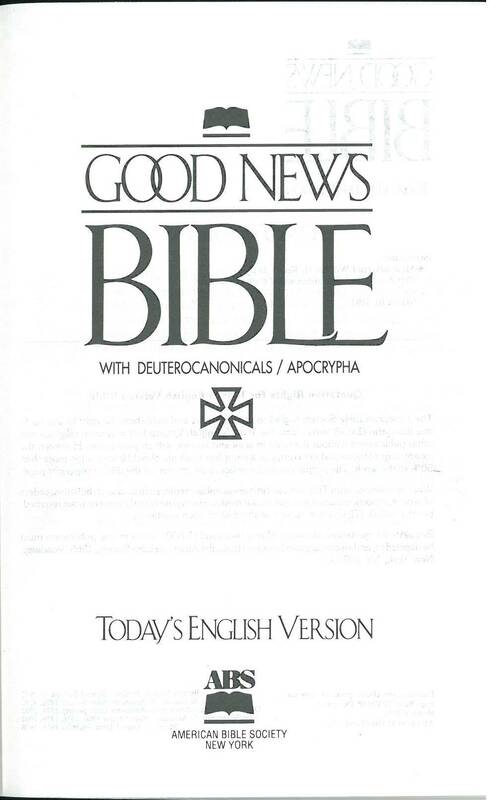 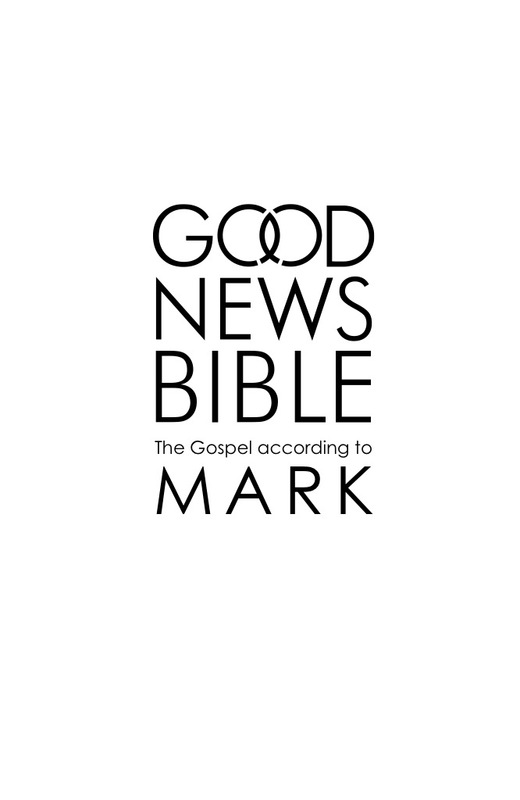 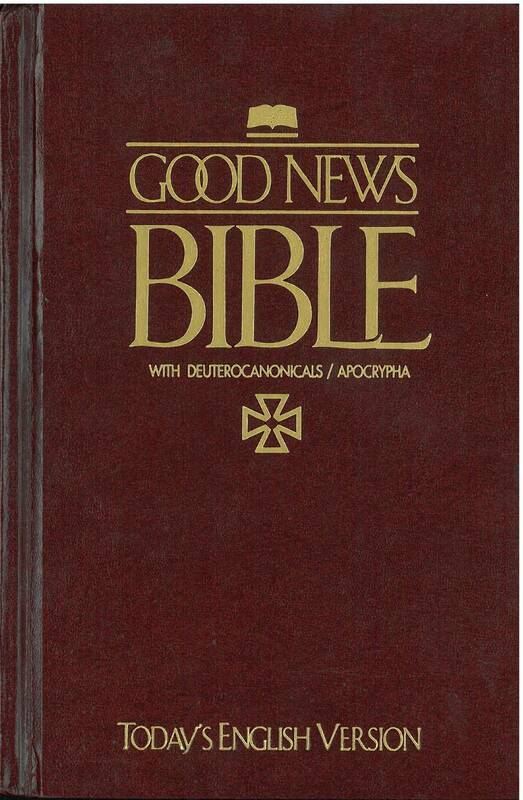 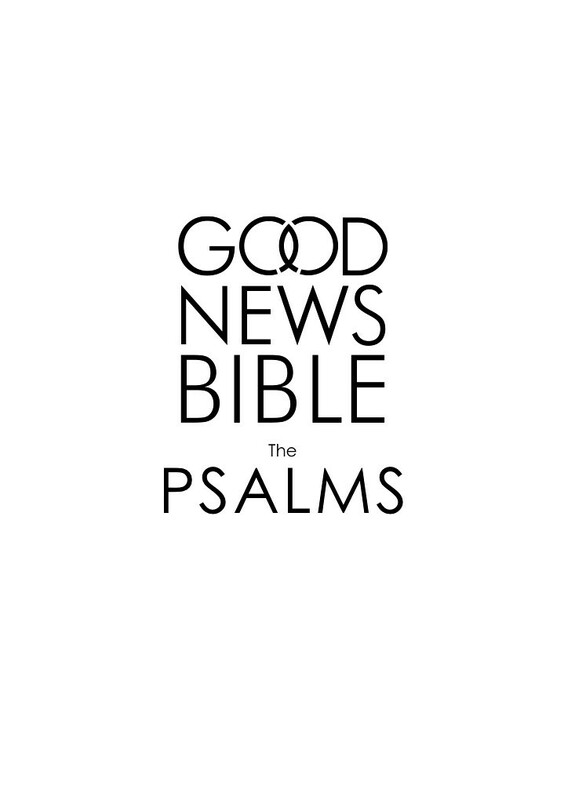 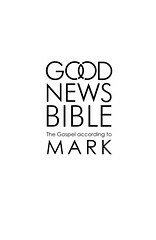 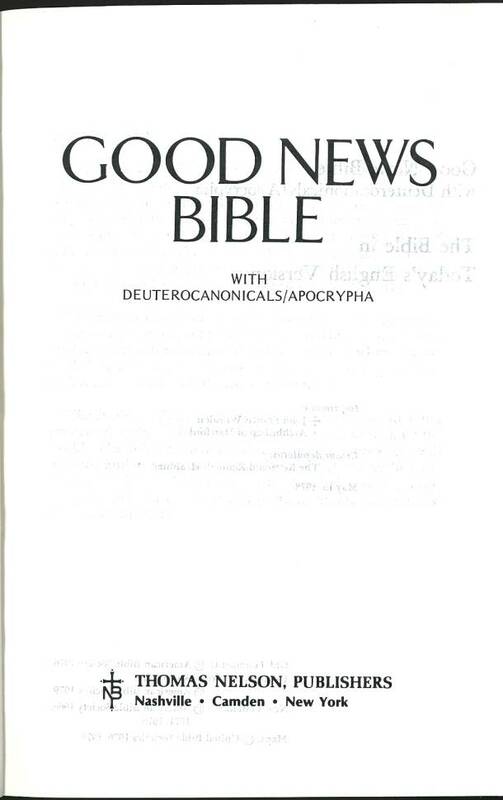 These editions of the Good News Bible have features that cater to people with dyslexia (a reading disorder). 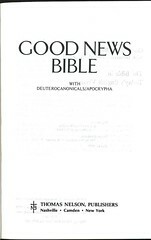 They include cream-colored matte opaque paper and single column text. 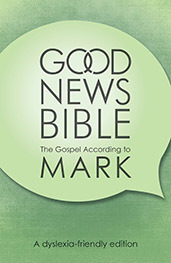 More information about these Bibles can be found here. 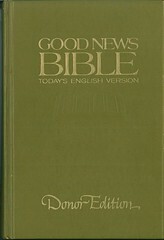 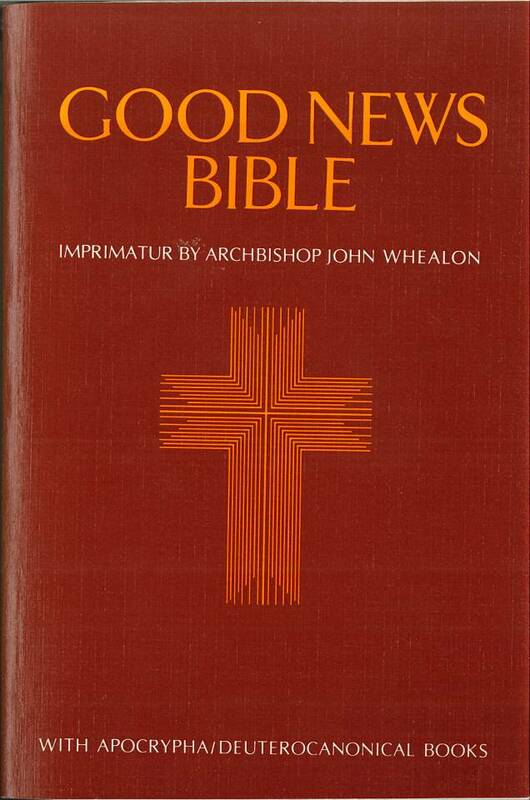 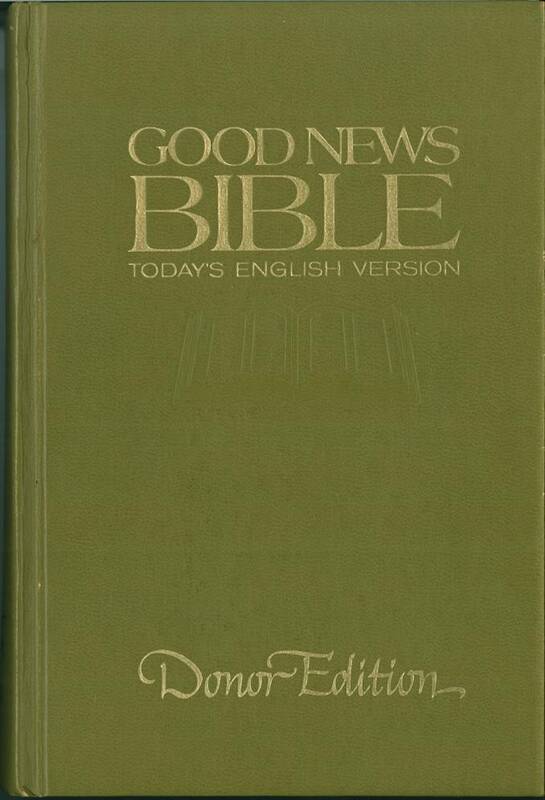 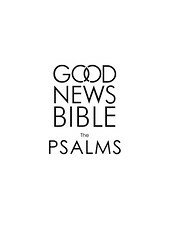 Comments: The Donor Edition is considered the First Edition of the Good News Bible.